Welcome to ReviewHomeWarranties.com, a guide written by insurance industry veterans, who vowed to find the best home warranty companies for prospective clients. We take great pride in the level of detail that we put into our home warranty company reviews, and strongly recommend looking at the specifics of each company before making a decision. Reading our reviews will not only help you find the right home warranty plan but will also prevent you from making uneducated choices. Our top 10 rated home warranty companies selection is done neither arbitrarily, nor randomly. We have devoted substantial resources to collating the most relevant and up-to-date information about each company on the American market. We processed a great deal of data per company, and carefully reviewed the ins and outs of it accordingly. Our ultimate aim is to offer a review that goes beyond the realm of simply listing facts, but rather to offer a valid comparison of home warranties on the market in 2019. Our home warranty reviews are updated on a monthly basis to keep them current and up to date. We started off in early 2017 by reviewing top 10 largest home warranty companies in the U.S, but since then we have expanded and we're proud to say we have reviewed more than 30 companies to date and counting. We plan to further expand our offering by reviewing every single one of the home warranty companies in the USA. We are also constantly overhauling the companies' reviews by adding more updated information with more insights, allowing our readers to decide whether to buy a home warranty company swiftly and easily. We base our ratings on facts, not stories. 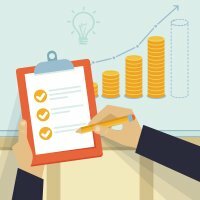 REPUTATION AND CREDIBILITY: We believe financial services are essentially based on trust more than anything else. We only recommend home warranty companies that you can trust with your money. CLIENT REVIEWS: We have scanned every corner of the internet to find client reviews, whether positive or negative, in consideration to each of the homeowner's home warranty which we have reviewed. 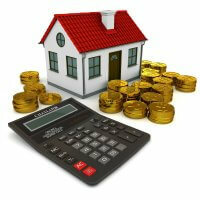 PRICING: Affordable, fair rates is something that we highly consider. We do not look at affordability at face value, but actually, compare the type of coverage clients get for each price bracket. TRANSPARENCY: We have analyzed the fine print terms and conditions for you. The top home warranty services, which appear as recommended on Review Home Warranties, have straightforward and understandable terms and conditions. You actually understand what you are paying for, how much will you be quoted for, and what should be given to you in exchange. Many home warranty companies deliberately obfuscate their T&Cs to prevent their clients from doing so; these clients only fully understand the terms of the contract in retrospect - after buying a home warranty policy, when they are in need (which they are not always getting in the form they planned to). OUR EXPERIENCE: Our business model is to refer interested parties to home warranty services. As such, we are working closely with some of the best-rated home warranty companies listed on this website. As a result, we constantly get insights about the way any company conducts its business. We only list companies that we had good experience with because we believe the way they conduct business with partners reflect on the way they may deal with their clients. MYSTERY SHOPPERS: We speak to people who have been buying home warranties, as well as constantly looking out for mystery shoppers whom we can pay for their home warranty contract in exchange for them reporting to us about their experience. If you are interested in becoming one, please contact us through this form. Each of our home warranty reviews includes every one of these points and contains all of the necessary information to make an informed, thoughtful decision on the matter of whether to use it. The ultimate buying decision is up to the reader and we shall not be held responsible for the information we provide for free. We will not be able to give any individual advice to readers approaching us directly asking which company to choose. Remember, we do not provide home warranty advice but rather loose guidance! We have a referral agreement in place with some of the home warranty companies listed on this website. We have a disclaimer next to each one of the top 5 or top 10 lists containing such partners of ours, as well as inside each of the relevant reviews. We feel that this monetization method is best for our readers - it enables us to keep our content ad-free and we learn more about the industry than ever before by dealing with these home warranty services directly. Although many people refer to home warranties as "home warranty insurance", it is simply not true. Home warranties are legally not a form of insurance, but rather a service agreement. You are welcomed to read more about this topic on our regulation page. The best home warranty providers in Arizona offer a great selection of coverage plans. We will help you select the one that will cover all the items on your list. Homeowners in Texas prefer to protect their houses with the best home warranty plans they can find. We'll help you select the right company for your home. California home warranty companies offer great coverage for all state resident homes, townhomes, and condos. Let us help you choose the best plan for you. 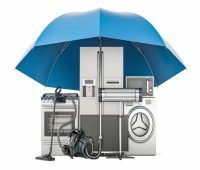 From Atlanta metropolitan area to the smallest towns, Georgia residents prefer to protect their home systems and appliances with a good home warranty plan. Many Old Dominion home buyers receive a home warranty as a housewarming gift from their real estate agents. Which plan would you prefer to get? Utah residents know how to save money. This is why they purchase home warranty plans form the best companies listed on our site. Invested in a neat house in Florida? Now protect it with a good home warranty plan. Don’t know which one to choose? We can help. Ohio residents are eligible for the best home warranties on the market. 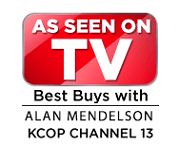 In case you don’t know which company to choose, check out our reviews and ratings. Colorado homeowners protect their peace of mind and their wallets by purchasing a home warranty from the most respected companies on the market. Although some other sites have been trying to sell "homeowners home warranty" as a different entity than "home warranty for home buyers" or "first time home buyers home warranty", it is essentially the same product provided by the same companies. We do target all of these segments but we don't mark next to each company or plan whether they are destined for owners, buyers or sellers. New home buyers who are looking for home buying protection services, but don't know much about a home warranty, and are not sure whether home warranties are good or bad, or how warranties compare vs. insurance. Home sellers who have home warranties usually sell their houses faster for a higher price because home buyers have more confidence in buying a house protected under a home warranty and are less likely to negotiate the price downwards. Homeowners in every town, USA, who wish to purchase homeowners warranty/insurance to mitigate unexpected expenses in the future. This audience searches for ‘easy-access’companies that offer quick and efficient setups. Any house owners who need a solid whole house warranty, to avoid significant spending on repairs and replacements of their home systems and appliances. This audience searches for the home warranty companies with the largest offering. With more than 20 years combined in the area of insurance and product comparison, our staff is as professional as it gets. We write all the content that you find in this guide in-house, after devoting tens of hours into each home warranty company review and assign ratings, and hopefully, it shows! We will not only tell you if a home warranty is good or bad for you, or whether a certain company is recommended, we will show the meticulous data set that was used to determine that. Although we make money through referrals of clients, like other sites in the financial services industry, we believe every choice we make is backed up by enough data and reasoning to showcase our objectivity and professionalism. We always strive to be the best in what we do, so any objections and comments are very welcome. Not only are we working hard to find the best home warranty insurance for you, but also we want to keep you informed about the general state of affairs in the industry. We believe informing our audience is the best business decision we can make. With this purpose in mind, we plan to publish some unique home warranty research on a constant basis. Please excuse us as we are still collecting data about the various companies and respective home warranty plans. As soon as we have enough data, we are going to do comparative research in the warranties field and tell you about the results in our reports. Currently, ReviewHomeWarranties.com is targeting only USA-based clients. None of the firms reviewed, analyzed, and compared on this website services any countries besides the USA. Our "Top Company" comparison tables are normally responsive to the IP of the visitor - that means our readers view the best home warranty recommendations based on their current location. It should also be noted we have state-oriented pages to could be found on this USA Providers: By States. We encourage our readers to read through our comprehensive reviews. We know there's a lot of raw information there, but it can help you make the most informed decision on the subject. We recommend you to start off by reading Choice home warranty review, Select home warranty review, and Total Home Protection - our top rated firms. Are you new to home warranty and want to understand more about the ins and outs of the service? Are you an existing clients who wishes to understand whether he is getting the best coverage and the best price? Are you a pool owner wanting to understand this particular aspect of home warranties better? Perhaps, you are an home warranty insurance professional who wants access to high-end data and analysis? Whoever you are, you are invited to read through our articles readily available for your pleasure below. All content on this website is 100% free. Your home is full of expensive, high tech appliances that you use every day. Have you ever thought what would work best for you, a home appliance warranty or an extended manufacturer's warranty? We compared these two types of appliance insurance and presented the results of our comparison in this report. In order to help you decide whether a home warranty worth it or not, we created a home maintenance calculator. As soon as you enter information about the age of your house and your home systems and appliances, you will see how you home maintenance cost compares to the cost of a home warranty. When looking at buying a home it is important to not only consider the floor plan and neighborhood of the home, but also the age and condition of the home’s appliances and home systems. We bought an older home and also purchased the home warranty plan that was offered with the home purchase. We learned a lot about home warranty deductibles, and now we want to share our experience with you. Which Home Warranty Plan is the Cheapest? Is buying the cheapest home warranty plan a good idea? How cheap is the cheapest plan and how expensive can it get? What do the cheapest plans cover and how do they compare to each other? Read this article to find the answers to all these questions. Did you know that home warranty costs may vary not only from company to company but also within one company that works in different states? We conducted a research to see how average home warranty costs vary depending on the state where you live, the type of the coverage plan that you select, the term of your contract, deductibles, and the house age and type. We studied over 14 000 plans and published all our findings in this report. Home Warranty Coverage: How does it Work? Do you know what your home warranty coverage includes? Are there any coverage limits for the covered items? The answers to these questions will help you avoid any unpleasant surprises when the time comes to file a claim. For those of you who are still looking for the best home warranty for their house, condo or an apartment, we have collected information on home warranty coverage in different companies and compared their coverage plans. Is Home Warranty a Scam? We’ve all been there – you wake up in the middle of the night to a freezing house in the middle of winter when the furnace goes out, or you are up to your elbows in perishable foods when your fridge suddenly stops working. Being a homeowner certainly comes with risks, and dealing with costly repairs and replacements when appliances or systems give out is one of them. 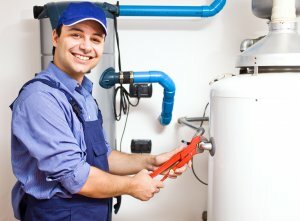 Who is regulating the home warranty industry? Are there home warranty specific laws? 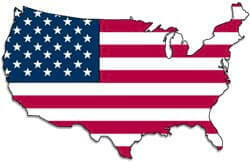 Discover the the ins and outs of home warranty laws and regulation in the USA on our guide. This is a personal blog of Sarah Callahan, a 37 year old small business owner and a financial consultant in Sioux Falls, SD. She has purchased four different homes in her life, two of them with her husband. Now she shares her experience with different home warranty companies. Choosing the best home warranty company that fits you like a glove is by no means easy. There is not enough information to go by online. The little data to be found is scattered across an abundance of websites, and it is often contraindicating and imprecise. 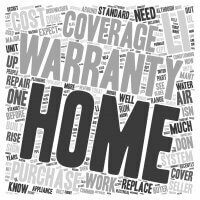 For these reasons we have created ReviewHomeWarranties, not yet another home warranty review platform, but rather a highly sophisticated aggregator that collates all the data you will ever need about each and every home warranty company, rather than just stating which are the top ten home warranty companies and make a simple list of pros and cons. Engaging in business with the wrong company can be a painful experience, especially when you realize that in retrospect, after paying substantial amounts of dollars in subscription fees over the years. We believe a website like ours can help you form an educated stance towards the industry as a whole, and our reviews can help you choose the right company for your individual requirements. While ReviewHomeWarranties is still far from being a mature product, as it has been launched only a year ago, it is already the world's most comprehensive home warranty database consisting of dozens of companies, hundreds of plans, and thousands of components. All the information we are displaying across the website, whether it's on the home warranty reviews or the investigative articles we've put up, is as current, up to date, and accurate as we could. If we made any mistakes, simply email us through our about us page's contact form and we will be sure to correct the error with 72 hours. We are constantly re-working our reviews, and perfecting our Best Home Warranty 2019 lists, so be sure to check us out on a constant basis! Have fun on your journey!